Map It! 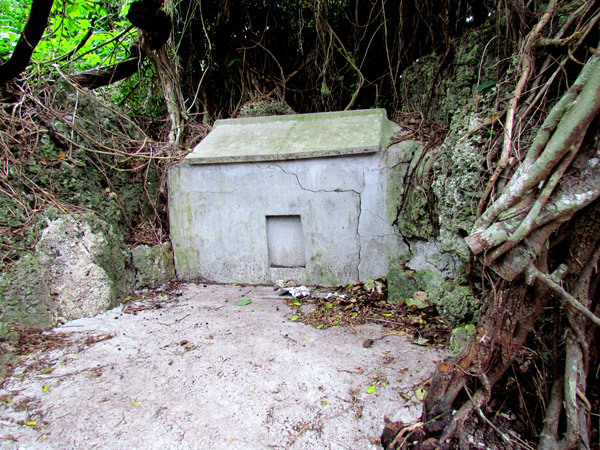 Okinawa: "The Agari no Utaki - Hamahiga Island"
Hamahiga Island, like Kudaka-jima, is considered to be one of the holiest places on Okinawa. 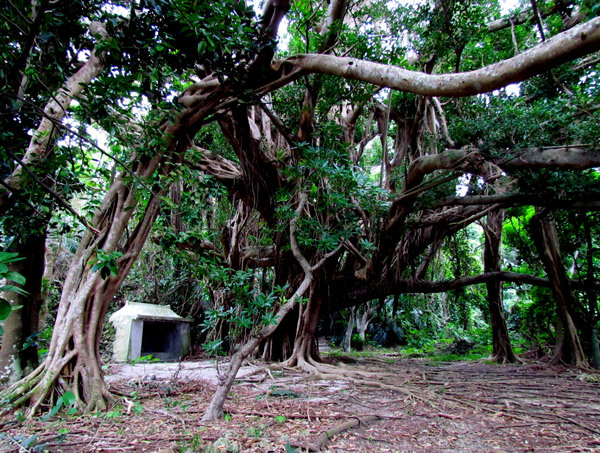 And like Kudaka-jima, Hamahiga's history and legends too are also shrouded in mysticism and mystery. You will find many sacred areas on this tiny island. The one you see above is referred to in Japanese as 'Agari no Utaki' (アガリのウタキ)* which loosely translated means 'The Worshiping Place of the East' in Okinawan dialect. 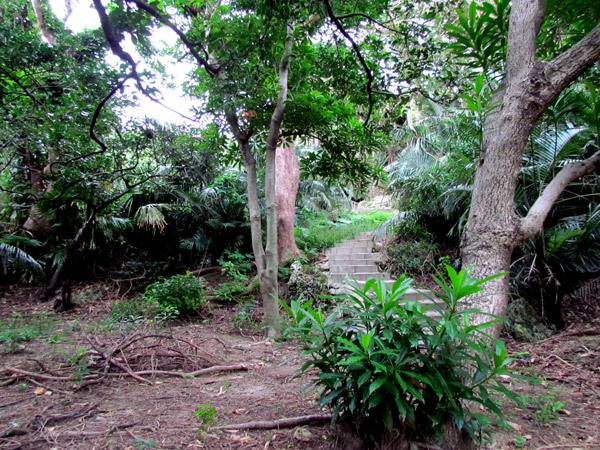 Associated with this holy ground is an Okinawa ritual known as 'Shinugu Matsuri' (シヌグ 祭り) or Shinugu Festival. The 28th of June and August of the Chinese Lunar Calendar are considered sacred days for this 'Utaki' (place of worship). It is not quite clear why these specific dates were chosen, or if it has anything to do with the Shinugu Festival. Long time ago (dates not provided), it is said that 7-8 people from the Nazan area (southern Ryukyu Kingdom) had fled to Hamahiga seeking protection against follow-on invaders. The villagers were asked to surround the entire island taking them away from their daily activities. How and why these past events led up to the importance of the present day location is not quite clear. No where does it mention anything pertaining to a fraternity of men. Furthermore, this definition almost coincides with the June/August dates aforementioned above. 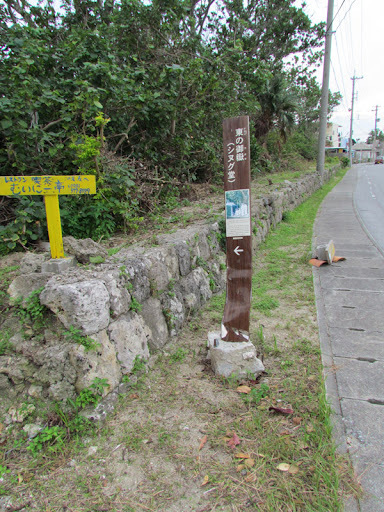 It is important to note that rituals (and Okinawa dialect) even on a small island such as Okinawa can vary from village to village. Traditions are handed down from generation to generation often through experience. 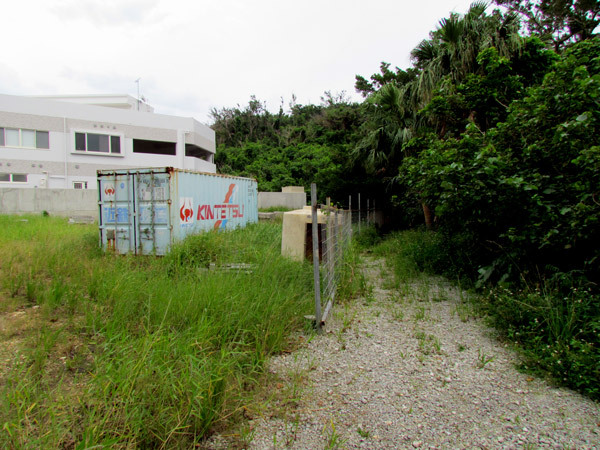 A Shinugu ritual (and its meaning) in one part of Okinawa may not reflect other such practices elsewhere. The Shinugu ritual in Ada, should not be used as the 'Gold Standard' that defines other Shinugu rituals elsewhere. The tomb. Behind the Agari no Utaki are a set of steps that go up to what appears to be a small tomb that seems to have some religious importance. It is not clear who's remains are inside. When you visit. When you visit, it is likely that you will see other visitors and possibly some of a religious nature, such as Noro (priestess). It is understood that curious visitors come and go, but if you happen to arrive during a religious ceremony it is wise to return at another time, unless given special permission to stay. Even to ask may be a little intrusive. As stated before in a previous post, this kind of 'visible restraint' earns a lot of respect. Every situation must be gauged. There are some that are quite open to sharing values and beliefs, while there some who are extremely private. Directions. The location is not difficult to find. Once you cross the bridge from Henza Island onto Hamahiga you will turn right (Hama side of the island). A historical marker will be located about 250meters once you turn off from the bridge. You have to park near the road, and follow the path along a fence-line. Sources. Source of information provided by the Uruma City Board of Education (explanation sign in Japanese). The term 'agari' meaning 'east' is Hogen and its meaning is found in the Okinawa-English Wordbook, University Hawaii Press dtd 2006. It is also referred by the Kanji 東 also meaning 'east'. Other places of interest nearby. Off The Beaten Path - Hamahiga, Amamichu's Grave, Shirumichu, Hamahiga Beach, The Gateway. Today, my husband, a friend TDY from the states, and I went to Hamahiga Island and visited all of the sites you have listed. We had a wonderful time! Agari no Utaki was such a great find. 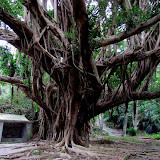 I could have sat under those banyan trees all day long if they had let me! Also, if you wander across the roots up the hill, there are a set of stairs that take you up to another shrine that has a spectacular view through the foliage. We got some great photographs and we were able to give our friend some memories that he can take back to the states with him forever. Don't go to these places expecting big, ornate shrines though. They are minimalistic, but their beauty and relevance are still obvious; this shrine has definitely been used throughout the years, and the locals have kept it up marvelously. Rachel, I am glad you, your husband, and your friend got to visit Hamahiga Island. I miss that island and have been wanting to go back and visit. 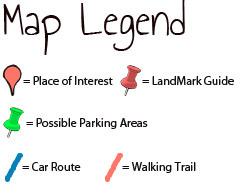 There are a handful of other small places I need to map that have some historical importance. Thanks for stopping by and hope to have more places for you in the near future.